The Internet of Things (IoT) has created a massive amount of buzz, excitement, and confusion. Some call it more important than the Internet while others say it’s a hoax or a fad. So what is IoT, where did it come from, where’s it going, and why does it matter? To recap, an IoT device is just a non-traditional object connected to the Internet, and it must have at least one sensor or actuator to gain any benefit from this connection. Microsoft is calling IoT the “fourth industrial revolution“, classifying it alongside mechanical production, science and mass production, and The Digital Revolution. In 2017, $800 billion was spent on IoT, with the industry’s impact forecasted to be between $3.9 and $11.1 trillion in 2025. That’s $3.9 trillion, at a minimum. Since 2000, digital disruption has caused the end of 52% of the Fortune 500. Looking forward, IoT will have a similar effect on those left standing. 80% of companies believe their industry will be disrupted by 2020, and it’s clear why: by 2019, two-thirds of consumers intend to buy some form of connected tech for their homes, and Gartner estimates that 95% of all electronic products will have built-in IoT technology by 2020. If that’s not enough, the U.S. Department of Transportation estimates that vehicle-to-vehicle communication will help prevent 76% of car accidents, South Korea’s new “smart city” has lowered per capita energy consumption by 40%, and developments in IoT healthcare are forecasted to avoid 50,000 preventable deaths annually in only one small area–hospital mistakes. Why is Now the Time for IoT? Since the 1950s, computers have evolved from mainframes to PCs, then been revolutionized by the spread of the Internet and mobile devices. Currently, the cost of connecting an object to the Internet is plummeting. Since IoT sensors are already inexpensive and only becoming cheaper, many see IoT as computing’s next big step. From one viewpoint, IoT is simply “more computers,” since it connects previously unconnected “dumb” devices to the Internet. These new devices, however, will have functionality far beyond that of a normal computer. A computer or mobile device is a screen that provides output and a terminal that permits input. Computers and mobile devices can’t have a direct impact on the physical world, which is where IoT devices are revolutionary. Since a large portion of IoT’s benefit comes from device interaction and inter-coordination, the whole of IoT is more than the sum of its parts. Just as social media dramatically increased human connectivity, communication, and coordination, IoT creates a similar type of revolution through what can be described as a social network for machines. A “Connected” device has an Internet connection. “Smart” means a device can make intelligent decisions. “IoT” means a non-traditional device being connected to the Internet. Marketing departments have caused some terminology creep by using the word “smart” when they should more accurately use “connected” or “IoT.” This has led to, in common conversation, the word “smart” simply meaning “connected to the Internet.” In the near future, as more and more devices are connected to use the Internet’s intelligence, the line between all three of these terms is likely to decrease. “When wireless is perfectly applied the whole earth will be converted into a huge brain, which in fact it is, all things being particles of a real and rhythmic whole. We shall be able to communicate with one another instantly, irrespective of distance.” –Nikola Tesla, 1926. IoT is a digital implementation of Tesla’s prophetic vision. Where did it come from and where is it now? The first IoT device was a Coke machine that let students at Carnegie Mellon University find out from a distance whether there were any cold sodas available. Cisco defines the official beginning of IoT (admittedly arbitrarily) as the point when there were more machines than people, which occurred sometime in 2008 or 2009. The first well-known IoT consumer device was the Nest, a thermostat released in 2011 that allowed users to change their home’s temperature from their smartphone. IoT has already bypassed the peak of the hype cycle, which Gartner describes as happening in late 2014. Since then, popular interest in IoT has been steadily decreasing. Essentially, the buzz is diminishing while the rollout of real, practical IoT devices is increasing. Now, in late 2018, many IoT applications are hitting maturity, most famously Amazon Echo and Google Home. By one estimation, there are currently over 7 Billion IoT devices, including IoT lighting, security cameras, and home and bike locks. As consumer IoT devices become increasingly common, mapping and indoor positioning are two of the first novel applications being tackled. Additionally, tech giants like Microsoft, Amazon, Google, and Apple are all clambering to provide services for the growing IoT industry. The IoT device filters information, gathering and processing relevant data. The device transmits this data to the Internet over networks, which may include Bluetooth, Wi-Fi, cellular, mesh radio, satellite or fixed line connections like Ethernet. Information from the IoT network is gathered and stored, most commonly in a company’s cloud database. By processing the IoT data from a distributed network of devices, an individual or company extracts insights about the system as a whole and its constituent nodes. Those insights affect the behavior of people, companies, and IoT devices, typically through the sharing of information or commands. IoT data is exchanged with other systems, monetizing it or enriching it with third-party data. TrackR and Bird are two already-popular consumer devices that showcase possible implementations of IoT technology. TrackR sells small discs that help its users find their objects. 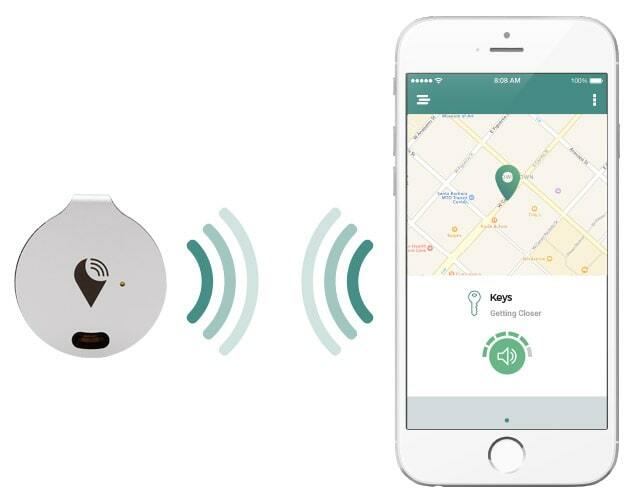 A user could attach a TrackR to their keyring, wallet, or pet’s collar, and then view the TrackR’s location from their phone or tablet, which also includes the ability to make the TrackR play a sound. TrackR learns its location through Bluetooth communication with nearby local devices, typically mobile phones or tablets. The local devices relay data of nearby TrackRs up to TrackR’s database. Note: Since TrackR can only communicate through Bluetooth, it doesn’t form a direct connection to the Internet but rather communicates to the Internet through a mobile “gateway”. The Bluetooth protocol also caps TrackR’s range at a few hundred feet or so. The company has improved on this limitation by creating a crowdsourced tracking network that they call “TrackR Crowd Locate,” which allows each TrackR device to communicate to the Internet through the mobile device of any TrackR owner. Through TrackR Crowd Locate, each TrackR user benefits from the network as a whole. TrackR’s cloud storage holds onto this information. TrackR knows the location of every TrackR device on its network, including the TrackRs that are currently out of range. Each user can view a map of their TrackRs on their mobile device. Through TrackR’s mobile app, they can also request that their TrackR make a sound to help them locate it. TrackR can use its information to improve its services or sell this data to other companies. Just as a company made this comically large remote control, other companies could design new products with findability in mind. For example, TrackR has a “Works with TrackR” program where they integrate TrackR technology into products made by other companies. If a TrackR were to cost only $1, how many consumer devices would be sold with one? Backpacks and laptops might come with them embedded, helping users find items and recover them in case of theft. Many other companies have released similar products. There are also all sorts of trackers for other industries. Some of these, such as Whistle Pet Tracker, even have a direct cellular connection to the Internet and therefore don’t require a local mobile device. These cellular trackers are typically more expensive, larger, have shorter battery lives, and require a cellular data plan. All types of consumer tracking devices have been growing in popularity. While consumer tracking applications are the most directly relatable, business and industrial applications are expected to be far more impactful. By McKinsey’s estimation, U.S. Military efficiency would increase by 3-5% if it simply knew the location of all their devices. This equates to a total productivity gain of between $15 and $27 billion per year. Movement and logistics in the U.S. is a $1.4 trillion industry, with trucking as the largest share. Even a minor improvement to efficiency would be massive: GE estimates that a 1% improvement in efficiency would raise its profits by $500M and amount to $10-15 trillion if it were applied globally. Another successful consumer IoT device, year-old scooter rental company Bird was recently valued at over a billion dollars. Each Bird scooter has a sensor to measures battery level and knows its location through GPS. Through cellular networks, it passes that data back to Bird HQ. … and therefore keeps tabs on all its scooters. Other transportation companies would value Bird’s information. Uber, for example, recently bought bike-sharing company Jump. They’d likely be interested in information on scooter usage, or perhaps even a partnership to achieve better horizontal integration. While a large part of Bird’s IoT benefit comes from knowing an object’s location, it also gains value from its battery’s IoT connection. What if Bird started adding other sensors? If Bird installs an IoT thermometer, it could learn how temperature impacts scooter maintenance. Let’s say high temperatures can harm tires. 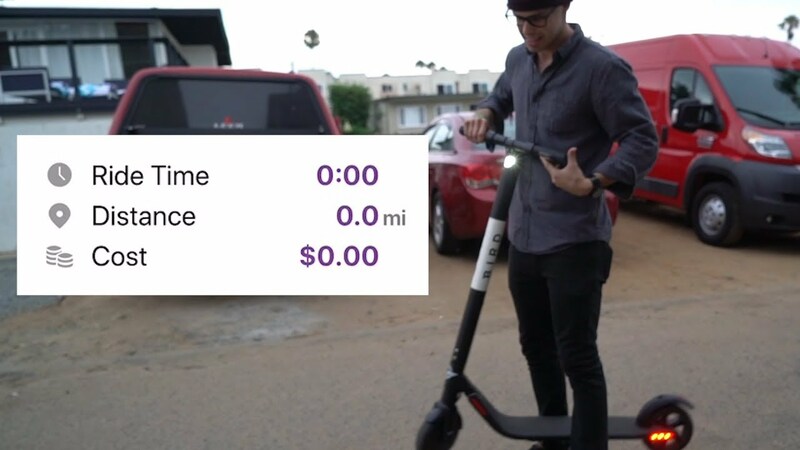 Bird could implement an automatic program that offers local users ride credit for moving the scooter to the shade. While this example is just speculation, it serves to show the space of possibilities. What if Bird learned riders have more accidents on cold days? What if fluctuating temperatures require more frequent tire refills? What if this same style of connectivity and sensing were applied to cars? Cities could learn about traffic patterns and implement better traffic flows. Temperature and humidity data could help car manufacturers improve their materials. Location and sensing data coupled with actuators creates self-driving cars, which could decrease traffic and save 30,000 lives per year. And this Internet of Vehicles is more than science fiction: by 2020, 250 million cars are expected to be IoT, with up to 10 million of them already driving autonomously. IoT is coming, but what are its benefits? For businesses, consumers, and society in general, how will this increased connectivity improve products and services? Why are 98% of companies planning IoT initiatives? IoT can both increase revenue and decrease costs, especially through better product development, increased efficiency, better-protected IP, and more stable revenue streams. IoT connectivity allows for better customer understanding, which is the key to retail success. No self-respecting web developer would release a website without analytics that track the site’s popularity, but this is precisely what developers of non-IoT products have done throughout history. IoT gives businesses the power to track customer usage of a product after it’s sold. Information that was previously cumbersome or impossible to measure is now easy to codify as reliable data. 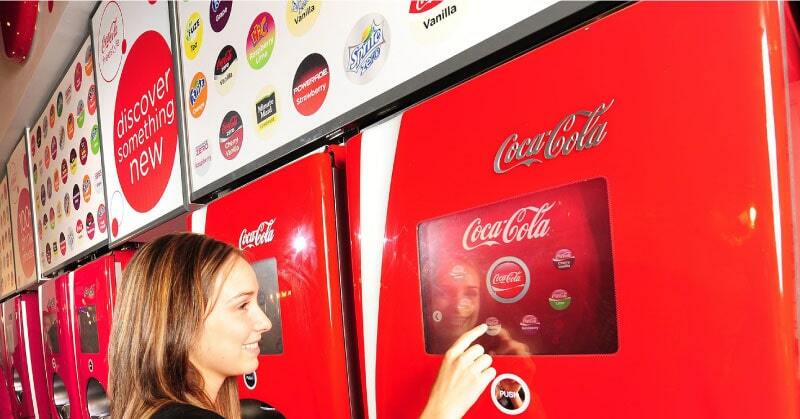 Coca-Cola, for instance, is already using IoT vending machines to learn which products are popular and optimize the placement of their machines. As companies gain more real-time information on their customers’ desires, product development as a whole will improve from shorter, more direct feedback loops. Amazon’s Dash Buttons have seen great success, and are now being democratized, giving developers the tools to make their own. George Westerman, the director of MIT’s course “Internet of Things: Business Implications and Opportunities,” has stated that IoT’s “main value, at least for the first stages, is going to be in operations.” He forecasts both lower operating costs and improved productivity. In manufacturing, for instance, IoT devices can collect data on employees to improve management strategies and monitor machines to reduce overall downtime. Forward-thinking companies have already begun to realize these improvements. By shifting its production to an IoT manufacturing plant, motorcycle manufacturer Harley Davidson grew its overall profitability by over 3%. They now monitor the humidity and temperature of their painting center, automatically adjusting if the measurements report out-of-bounds results. Similarly, oil and gas giant Royal Dutch Shell turned a $87,000 investment into a return of over $1 million through an IoT maintenance and location-monitoring system in West Africa. Historically, manufacturers ran the risk of competing with copycats (especially if they produced overseas, particularly from China). IoT products, however, are protected by their “cloud half.” Even if the physical version of a product is duplicated, the copy lacks access to the manufacturer’s cloud, including its IoT analytics and perhaps even the ability to run the product at all. This transforms many duplicates into fancy paperweights, better protecting the designer’s IP. Continuous customer connections allow improved business models, which is literally how a company makes money. Peloton, which sells what is essentially a stationary bicycle with a tablet attached, makes much of its money through content subscriptions. Users pay over $400 per year to access on-demand workout classes, providing the company a recurring revenue stream of over $70 million dollars. Additionally, if an average stationary bicycle costs $500 and an average tablet costs $400, why is Peloton so popular when their cheapest bike costs more than $2000? Customers are clearly willing to pay for Peloton’s connectivity and classes–in fact, they’re willing to pay over and over. IoT is having a profound impact on more than spin classes. The Harvard Business Review Has a whole list of ways that IoT creates new business models. One such profound impact is disintermediation: with IoT, a manufacturer can connect with consumers even if the product was purchased through a retailer. They can continually sell services direct-to-consumer, cutting out the middlemen and reaping higher profit. Consumers will see improvements from IoT as well, generally through increased convenience, greater satisfaction, improved products, and more services. For most consumers, “convenience” is the first benefit of an IoT home. IoT can automate chores, even fulfilling necessities that many forget to do, such as checking the expiry dates of food or medicine. It can also lead to more time savings through inter-connectivity: if your phone’s GPS senses that you’re leaving the gym and your heart rate monitor corroborates this information, wouldn’t you like the bath already filled at the proper temperature when you arrive home? Many customers want to save energy, but this goal can be difficult to achieve. With IoT, data from connected devices can provide insights to homeowners that allow for more energy efficiency and decreased utility bills. Already, consumers who use a Nest thermostat have seen impressive results, saving more than 10% of the energy typically used for heating and cooling. Where they previously may have let the thermostat run on a timer, Nest users can now turn on the heat as they’re driving home, or even let the Nest’s intelligence take care of the planning. For some devices, increased connectivity has an improvement on the device itself. Starting in the 1990s, heavy equipment manufacturer Caterpillar began embedding connectivity in its equipment. Their products, used by industries such as agriculture, construction, and mining, allow their customers more information and better efficiency. Their IoT mining vehicles, for instance, increase productivity by over 20%. For other products, the interactivity between devices creates significant gains. Imagine the improvement to a diabetic’s overall health if their blood glucose monitor connected to their phone to pass on blood sugar information to their healthcare provider. At least one implementation of this is already in the works. Coupled with knowledge of what food was consumed (through the previously mocked and now increasingly successful smart fridge, for instance), this information could develop real-time insights on an individual’s blood sugar response. Once purchased, most physical products simply degrade, but an IoT product could even improve over its life. Since manufacturers remain connected to IoT products, they can update the device’s software just as computer companies can upgrade an operating system. In 2014, car manufacturer Tesla discovered a bug that might cause their car to start fires. Instead of doing a standard recall, Tesla merely pushed a software update to their cars, allowing drivers to download the update at their convenience. In addition to saving themselves money on a recall, Tesla also saved its customers’ time. With the more specific customer information that IoT provides, companies will be able to tailor their products more individually. Some consumers are already using a combination of computer vision and IoT technology to provide individual measurements for custom clothing. One company, MTailor, claims they’re even more accurate than a human tailor, and has been receiving positive reviews. Since it’s a clear example that consumers can understand, everyone is talking about smart homes. One category of smart home IoT implementation will provide consumers remote control of their devices. This both adds safety (no more wondering “did I leave the stove on?”) and has been proven to save energy. In addition to its benefits for buyers and sellers, IoT has significant implementations in the public sector as well. Many governments are already using IoT to decrease traffic congestion, with IoT improvements upcoming for safety, health, regulation, and the environment. Traffic is the bane of many commuters’ existence, but fortunately, even a single self-driving car has been shown to improve traffic congestion for everyone. And if all trains and buses were GPS-enabled, commuters would be able to update their travel plans in real time. Some localities have already implemented this practice, seeing increased use of public transportation, which decreases traffic even further. As GPS and IoT connectivity decrease in price, expect more cities to follow along. Public policy helps keep citizens safe, and IoT would help it be applied with more speed and granularity. Mandatory smoke detectors, for instance, have been shown to prevent fire-related deaths. Many of them require human intervention to notify the authorities, but what if they simply notified the fire department directly? Firefighters could begin preparing a team while attempting to reach out to the homeowner’s cell phone. In cases of false alarm (such as smoke from cooking dinner), the smoke detector could follow-up with the authorities to notify them it had been turned off. Many companies are already working on IoT applications to public health, and, in addition to the products, public health data can be incredibly valuable. Bluetooth IoT thermometers are already in the works. If data from a large enough population were compiled and analyzed, public health experts could gain insights on the spread of diseases like the flu, leading to improved vaccination policies and best practices for interacting with the ill.
By connecting to on-the-ground behaviors in real time, IoT lets governments regulate previously un-measurable or unenforceable behavior. For a police officer, firing their weapon is the most serious act. In Chicago, some citizens have been requesting policy changes to require documentation each time an officer draws their firearm. With IoT, this regulation could be monitored through an automated system, such as sensors on the holster and gun and a transmitter that notifies police dispatch. The IoT system’s objective documentation would make many citizens feel safer while the faster communication would help police officers by requesting backup faster. This sort of granular awareness and regulation could also be applied in all sorts of citizen-directed ways. For example, societies are currently unable to monitor the carbon emissions of individual people. By combining IoT information from a person’s car, house, and business, however, a central repository could calculate each person’s specific carbon footprint. This could allow regulation to be applied on an individual level (such as“each person gets X amount of pollution) and this same strategy could be applied to other types of negative externalities. While the benefits are great, IoT is not without its risks. These are most notably in the areas of security, privacy, and lagging policy. Security is IoT’s biggest concern. Some consumer devices are hacked within 98 seconds of coming online. As IoT becomes more pervasive, hacking baby monitors, security cameras, and even assault rifles are all already a reality. With IoT, computing becomes physical, which prompts worries about cyber warfare. Congress is currently considering increased cybersecurity on the Federal level. In October of 2016, the world’s first IoT attack shut down the Internet for much of the Eastern seaboard through a compendium of Internet-connected devices. Since this strain of malware is “open source”–anyone can access and alter its code–researchers later used a modified version to infect Windows computers, which were then used to infect other connected devices. Cisco predicts up to 1 million new Internet connections added per hour in 2020, making IoT vulnerabilities more critical and dangerous. While research shows that consumers want security in their IoT devices, that doesn’t mean they’ll be willing to pay for it. As more devices surround people, often without people’s conscious awareness, IoT creates huge possibilities for privacy encroachments. Tracking devices and microphones, for instance, are becoming increasingly prevalent, many of them continuously listening or watching, sometimes even sharing user data with third parties. The ACLU is concerned about always-on microphones, concerned about always-on microphonessaying, “There’s simply no way to forecast how these immense powers — disproportionately accumulating in the hands of corporations seeking financial advantage and governments craving ever more control — will be used.” Similarly, there’s a real fear that IoT devices will be a tool for keeping tabs on individual people’s behavior. The Federal Trade Commission corroborates these worries, concerned with issues like mobile privacy and data security. But do privacy concerns impact behavior? While 93% of adults say that being in control of who can access information about them is important, few feel they have “a lot of control” over how much information is collected about them in daily life. They claim to care, but this doesn’t appear to lead to behavior change. Facebook’s two recent data breaches have led to much outrage but little action. Well, the first one led to some outrage, but many people don’t even know there was a second one. Additionally, the desire for privacy varies by culture, most notably not being of great importance in China. As companies speed ahead, building IoT products to make money, they’re running far ahead of policy and safety regulations. This discrepancy has left a whole host of open questions. Who owns what data, and how can it be controlled? There are currently no standards for the data markets, especially for data brokers—those who sell data collected from multiple sources. Additionally, GDPR is the “most important change in data privacy regulation in 20 years.” It regulates how EU citizens’ data and information can be used, including the requirement that companies delete data about a consumer at the consumer’s request. As the data grows (and it will grow faster with IoT), topics like data possession and control become even more important. Governments will play a large role in the future of IoT security. The United States Congress is currently considering multiple laws to regulate IoT security, and California recently passed a law that sets baseline security standards for IoT devices. On the other hand, there’s fear that these regulations may be too little, too late. IoT’s impact is large and growing increasingly larger. On its way, however, it will need to hop a few hurdles on its way to becoming a multi-trillion-dollar industry. In addition to the aforementioned security, privacy, and policy issues, IoT is currently working its way through technical challenges around connectivity, standards, analytics, and edge computing. When it comes to connectivity, experts agree the market is fractured. Since IoT is literally about connecting devices, this fragmentation will slow both adoption and value creation, with McKinsey estimating 40% of IoT value comes from interoperability—devices communicating with each other, not just connecting with the Internet. Connecting so many devices will be one of IoT’s biggest challenges. The current structure of connectivity–a centralized server/client relationship–works for the current IoT ecosystems, with its relatively small number of devices. However, when networks grow to billions of devices, this centralized system will become a bottleneck. If IoT is the connecting of devices, what if the devices speak different languages? There are currently many competing standards for communication between devices, which leads to a problem because many standards means there’s no standard. Companies must either have the ability to intake many types of data in multiple formats, which can be incredibly costly, or wait for one set of standards to win out. Many companies are even giving up on the standards war at the level of zeros and ones, instead deciding to focus higher up the stack. For example, voice is now generally accepted as the standard method of human interaction with consumer IoT home applications, leading to competition between nodes like the Amazon Echo, Google Home, and Apple HomePod for dominance of IoT in the home. Analytics will be an IoT manufacturer’s most important tool, yet the sheer amount of data can be overwhelming. Of companies interested in implementing an IoT system, 60% say they lack the analytics capabilities to take advantage of the data. Many tech giants are creating services to target this analytics need. However, if analytics is so fundamental to a company getting value out of IoT, will they really be willing to outsource it? While many see decentralized systems as necessary for IoT, much of the technology doesn’t yet exist. Models like Blockchain and Hashgraph have been proposed, along with developments in the areas of fog or edge computing, where data is analyzed closer to the device instead of evaluated in a central hub. These strategies will reduce network costs and speed up communication, but are much more technically demanding than the current centralized system, and are likely too difficult for many of today’s IoT technology companies. While IoT is currently suffering some significant challenges, none of them are large enough to suggest the industry itself may falter. The pie is big enough that they’re going to be solved. Looking forward, expect some market hiccups, followed by ubiquitousness and grand success. … and these are only a handful. Since each industry has its own requirements, each industry will likely have its own standards and solutions. Over time, however, once the low-hanging fruit is captured, cross-industry connectability will become more important, leading to generalized standards. For example, while a medical device must be HIPAA compliant, a smart watch does not. At some point, however, some smart watch functions such as heart-rate tracking may benefit from the ability to turn on HIPAA compliance. This increase in relative value will usher in a shift from intra-industry solutions to inter-industry operability. As IoT grows in popularity, Internet-connected objects will become the norm, just as consumers now assume a phone is connected, but smartphones were only first released 11 years ago. Current consumers see a difference in classification between a computer and a web-connected fridge, but will the next generation? Just as the difference between a mobile device and a computer is shrinking, the distinction between an IoT device and a “traditional” Internet-connected device will decrease as well. Smart TVs have been trending toward computing functions and internet capabilities: if they already have a web browser, applications, and social networking functionality, at what point is the difference too small to matter? McKinsey forecasts the IoT value of remote monitoring of diseases at $1.1 trillion per year in 2025. That’s only one segment of one industry, and all sorts of businesses are aiming at these individual segments. With such great value to be gained through interconnectivity, there’s little doubt “if” IoT will succeed. Where is IoT going? The answer: Everywhere.